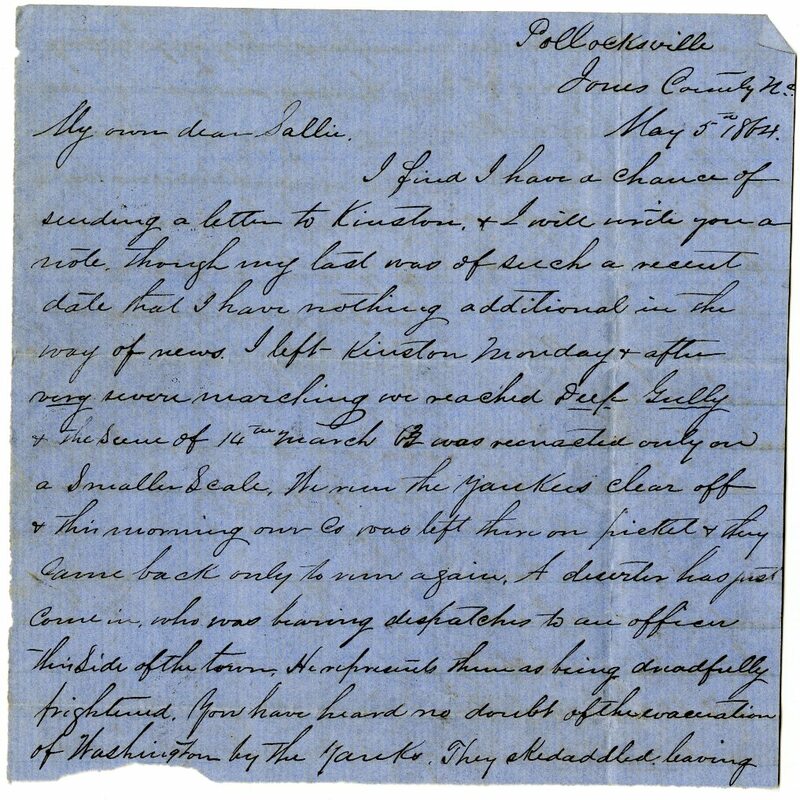 Item description: Letter, dated 5 May 1864, from Leonidas Lafayette Polk to his wife, Sallie. Polk discusses engagements around New Bern, North Carolina, including the evacuation Union forces from Washington, N.C. He also discusses mail delivery and supplies in camp. Item citation:From folder 2h in the L.L. Polk Papers, #3708, Southern Historical Collection, The Wilson Library, University of North Carolina at Chapel Hill. 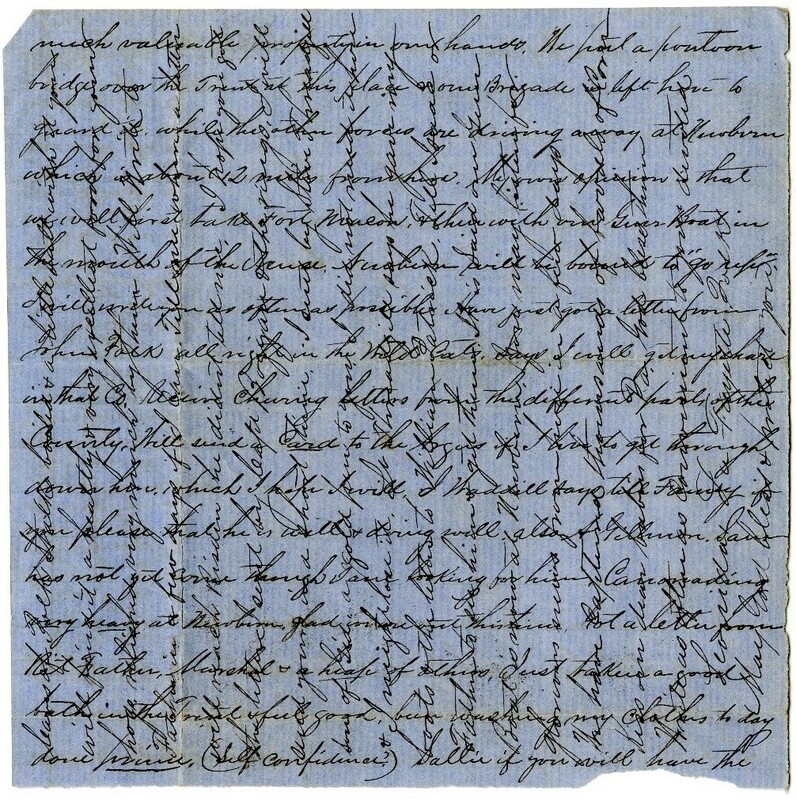 More about this item: The “scene of 14 March ’63” Polk references in this letter refers to the Battle of Fort Anderson, which took place in the area of Craven County, North Carolina, northeast of Jones County. This entry was posted in Southern Historical Collection and tagged cannon fire, Deep Gully (N.C.), evacuation, hygiene, Neuse River, New Bern (N.C.), Trent River, Washington (N.C). Bookmark the permalink.